Veteran reporter Ralph Cipriano is covering the federal trial of Philadelphia Congressman Chaka Fattah for Bigtial.net. Mark M. Lee, a lawyer for Congressman Chaka Fattah, asked Greg Naylor about his negotiations with the government. And what Naylor was told he could expect to gain from his guilty plea, cooperation with the feds, and his testimony against the congressman. "I don't believe they [the feds] had any interest in what I had to gain," Naylor bluntly replied. His discussions with the government prior to his guilty plea, he said, was "not a negotiation." Naylor, a retired political operative who was once close to Fattah, testified in federal court today about how he wrote more than $20,000 in checks to cover the tuition bill of Chaka "Chip" Fattah Jr. The payments came from Naylor's political consulting firm, Sydney Lei & Associates Inc., and were usually made on a monthly basis to Drexel University and Sallie Mae, the student loan corporation, Naylor said. "Anybody ever tell you Chip had a gambling problem," the prosecutor asked. "No," Naylor replied. He had something else to confess. As part of the scam, "I made false 1099 forms" and sent them to "Chip," Naylor said. Even though Naylor testified that Chip Fattah had done no work for Sydney Lei & Associates. After the prosecutor got throughout questioning Naylor, his story held up under cross-examination from four defense lawyers, which was more bad news for the congressman formerly known as Arthur Davenport. 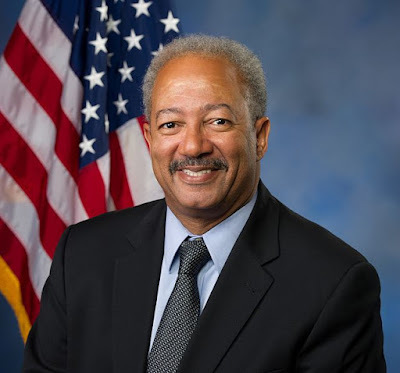 On cross-examination, Mark M. Lee, on behalf of Congressman Fattah, tried to get Naylor to talk about the central fraud in the case. The plot to have Albert Lord, former Sallie Mae CEO, make a phony loan of $1 million to Thomas Lindenfeld, another political consultant close to Fattah. So that the Lord money could be used to pay the campaign expenses of Fattah's unsuccessful 2007 run for mayor.